As a curious and eclectic musician, he has played in several bands of different music styles, from Jazz to Pop. It has been an eternal movement between guitar and banjo. 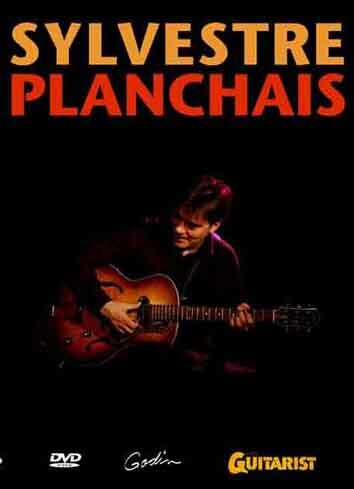 For a decade, he has been contributed every month to Guitarist Magazine, developing the Jazz section. He also works as a teacher at the Atla school since its creation. 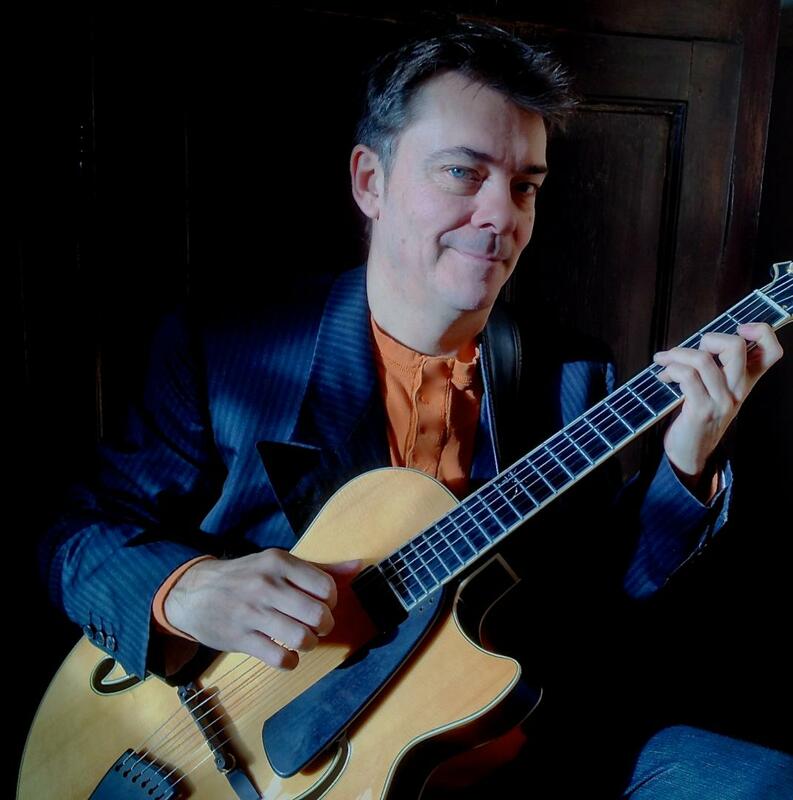 Thanks to his teaching activity he meets numerous guitarists from traditional French Jazz and Blues guitar: Christian Escoudé, Romane, Pierre Cullaz, Marc Fosset, Michel Perez, Frédéric Sylvestre, Manu Galvin et J.J. Milteau, Jean Marie Ecay. He composes and makes arrangements for his band Polycolor and releases the album ‘Polycolor jazz’. He plays a trio with les Pierres Noires, mixes and shakes up standards of Celtic, Irish music with jazz and swing touches. He works with the band ‘passport to swing’ and took part in ‘Another Romantic’ (a jazz fusion pop band). He learnt solid rhythmics and jazz harmonics. 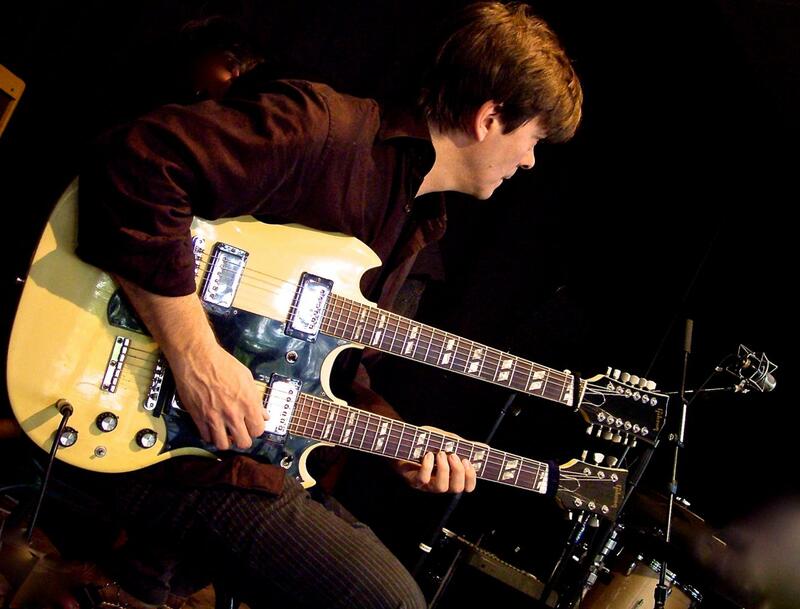 Besides his professional career of musician in a band, he developped a playing technic (taped strings) that allows him to be invited in numerous events and festivals (Patrimonio Festival, Issoudun, Autour de la Guitare… ). Sacem member since 1996, he composes for different projects: theatre, cinema ( ‘séquence libération’ from the movie Indigène of Jean Renoir on a Charleston melody (live music during projections), album ‘Round the blues’ with Régis Ceccarelli, Philippe Drevet and his guest J.J Milteau, ‘Beatles Revisited, ‘Corps à Cordes’. He creates a kid show ‘La petite Histoire du Jazz’, project supported by L’Adiam 95 and the Inspection Académique of Val d’Oise. 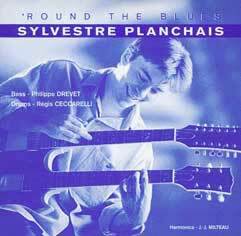 On the album "Polycolor jazz" Sylvestre presents the vision of music he likes: Jazz swing, New Orleans, Biguine, Blues, Bebop, Brazilian music and Pop Rock wink. Solo or quartet arrangements associated with double bass, viabraphone and drums. His compositions are in the acoustic spirit. And the association of different strings creates flying tones, for elegant and melodic songs.